يوفر فندق The Sebel Manly Beach Hotel ظروف إقامة راقية وهو خيار رائج للسياح ولرجال الأعمال أيضاً. يقع في منطقة مطاعم, شواطئ, سياحة من المدينة. يمكن من هنا للضيوف الاستمتاع بسهولة الوصول إلى كل ما تقدمه هذه المدينة النابضة بالحياة. يقع هذا الفندق الحديث على مسافة قريبة من المعالم السياحية الشهيرة. استمتع بالخدمات الراقية والضيافة التي لا مثيل لها بهذا الفندق في هذه المدينة رائعة الجمال. يمكن الاستمتاع بمجموعة من الخدمات على أعلى المستويات في الفندق كمثل مكتب الاستقبال على مدار الساعة, مرافق مخصصة لذوي الاحتياجات الخاصة, تسجيل وصول/خروج سريع, تخزين الأمتعة, واي فاي في المناطق العامة. استمتع بوسائل الراحة الراقية في الغرف أثناء إقامتك هنا. بعض الغرف تتضمن تلفزيون بشاشة مسطحة, سجاد, بياضات, مناشف, غرف لغير المدخنين لمساعدتك على استعادة طاقتك بعد يوم طويل. كما أن مجموعة الخدمات الواسعة الموجودة في الفندق لضمان راحتك تترك لك الكثير من الخيارات لقضاء وقتك أثناء فترة إقامتك. 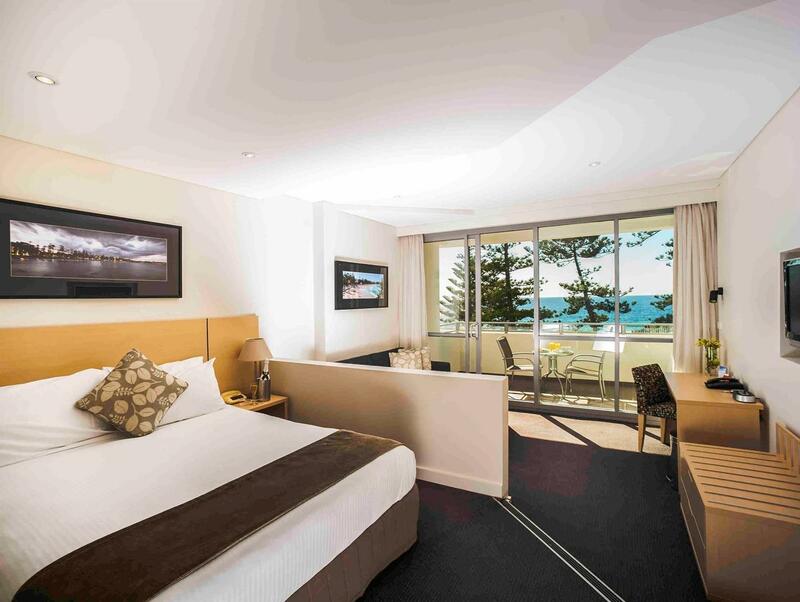 مهما كانت أسبابك لزيارة المدينة، فإن The Sebel Manly Beach Hotel هو الخيار الأفضل لإقامة مثيرة وممتعة. يُرجى العلم أنه يوجد مكان داخلي لانتظار السيارات مقابل 17 دولارًا أستراليًا في اليوم، ويجب حجزه مُسبقًا. إذا أردت الحجز، يرجى الاتصال بالعقار مباشرةً عبر بيانات الاتصال الموضحة في تأكيد الحجز. We booked our one night accommodation at Sebel through Agoda. When we arrived my other half tried to check us and provided my name. They informed him that we do not have a reservation even he already spelt out my surname. I went inside to follow up and the person at reception wasn't even apologetic even though she found our reservation in the end. To begin with it was already a disaster to inform us there is no reservation. You would think she should be thorough and check properly. 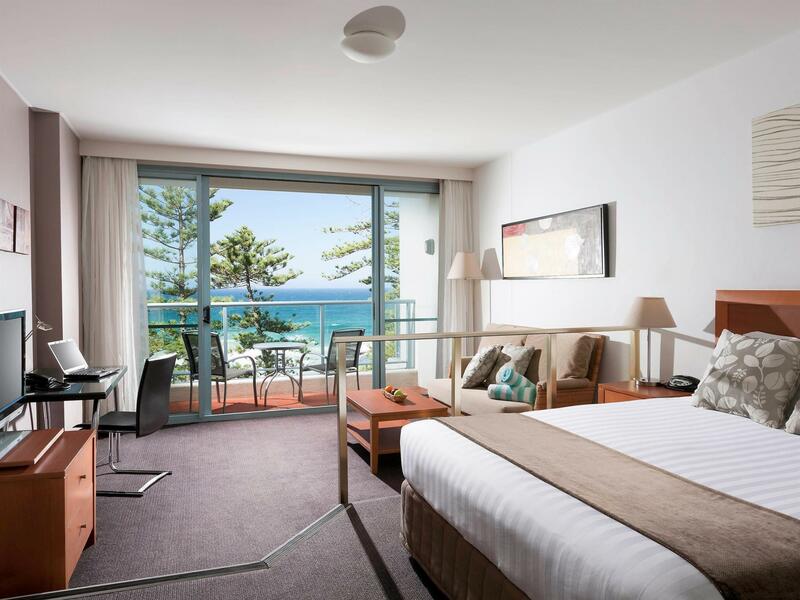 Secondly, they put as to the South wing which was awful no view of the Manly Beach which is what we expected an ocean view to begin with $464 a night what a rip off. Have I known I would have booked at Novotel at $120 cheaper with a guarantee of a beach view instead we were parked in what looks like an apartment and not a hotel. So when I made a complaint and wanted to move out, I was told we can't leave because we already paid for it. They knew how disappointed we were as I phoned up whilst outside the premises but they did not try to compensate or calm us down in anyway (to think this was supposed to be a bday celebration for my 15 yo daughter) until we checked out the next day. The lady at reception - the moment I informed her of our room told me she will waive the $20 parking. I also informed her the lady on the phone when I made a complaint will give me a 10% discount. This is the audacity of it all, they still charged me the $20 parking then deduct the 10% discount. Worse when I asked for a receipt they could not provide due to printer issue. What a lot of bullcrap. The worse hotel I've stayed ever. We stayed in the family unit at the South Tower. Carpark is right below the rooms but is extremely small. I had to drive around twice to find the entrance to the parking lot as it is not connected to the main building. It'll be helpful if they had a large sign pointing to it. Parking is about $20 ++ per day. The sofa in the room can be extended to become a bed but no bedsheets are provided. We took out the topsheet from the queen bed and used it as a bedsheet for the sofa bed. Also, it's quite flimsy so I wouldn't not recommend the sofa bed to be used for adults. There is a huge sandpit of unfinished construction where the room was facing so we couldn't eat outside the room. The wind kept blowing some of the dust up. It was a pity we had to keep the balcony door closed all the time and activate the air conditioning. Laundry room at the south tower is free to use with satchets of laundry powder provided. The room is open 7am to 9pm. There are 2 washers and only 1 dryer. Overall, the unit is very comfortable with more than adequate toiletries provided. The hotel provides free use of beach towels at the main tower and the location is really everything. The staff is very friendly and helpful. 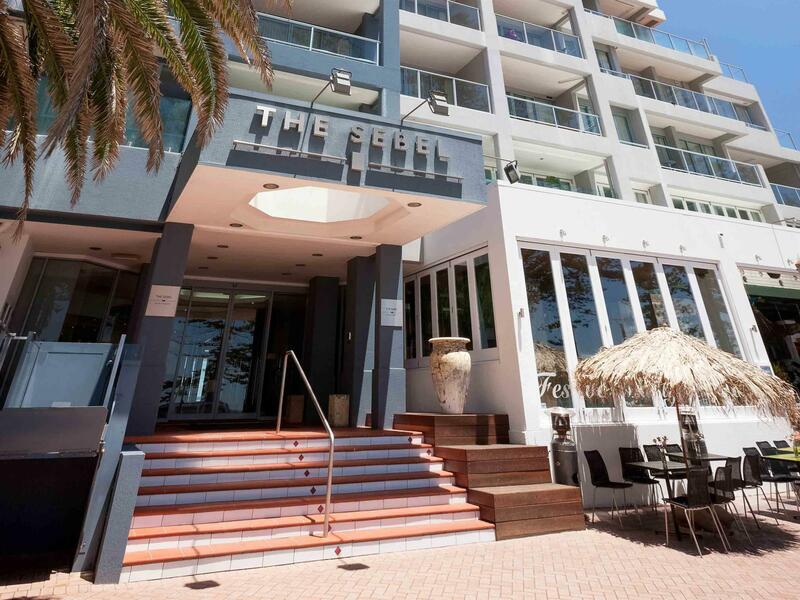 I would highly recommend The Sebel for a wonderful experience. Was not worth the $300 per night. Tucked out of wind in corner of beautiful manly beach with good size balcony in morning sun. Lovely walks right on doorstep and good food wine and fun! Ticked all the boxes we needed for a night in Manly, the staff were the best part. Friendly and accommodating. Very friendly and helpful staff. Location right on the beach. 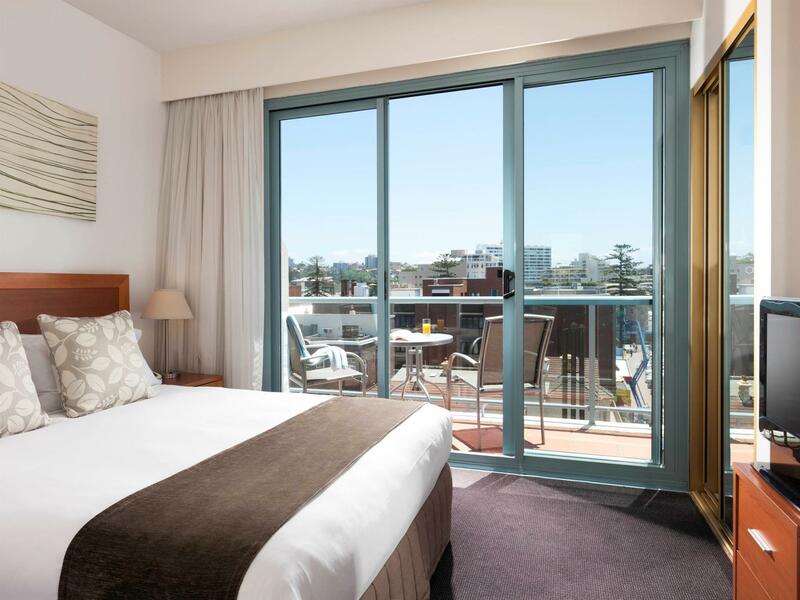 I stayed @ The Sebel for 2 nights we had a1 bedroom kitchenette room with balcony, it was quite spacious and clean. The view was a let down and I found the general hallway to the room on level 3 to be dated and unattended too with rubbish sitting on the floor outside and in need of new carpet and a good paint. The staff were very professional and the location would be the best in Manly. Overall I enjoyed my stay however a makeover would give you a more enjoyable experience and a bit more value for money. Rooms were dated and shabby. We were in the "back block". What little view there was was impossible to see through the filthy glass. Parking provided was very difficult.. Didn't try the restaurant. It was generally a great hotel. 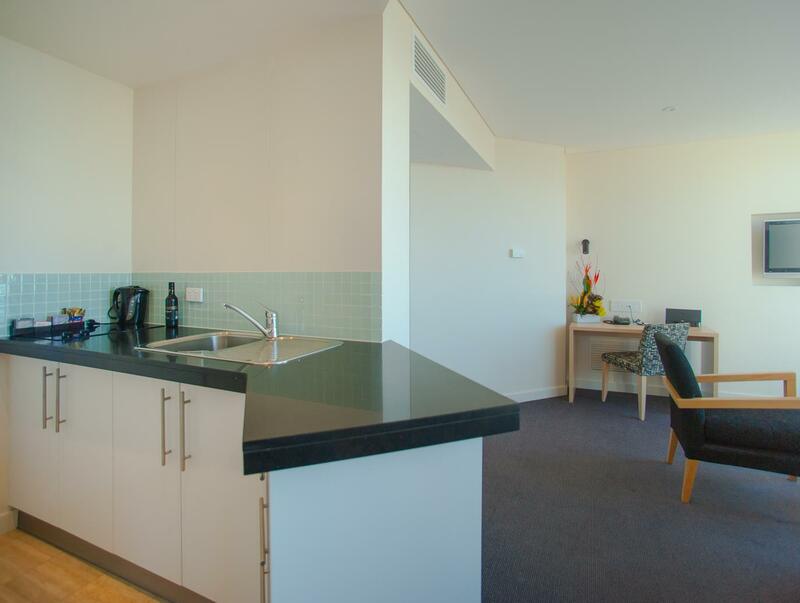 The one bedroom apartment was spacious with great balcony offering the vast sea view. It was however lacking of some basic toiletries which aren't sure is due to inefficient housekeeping or intentionally. Location ( though South tower not at all inspiring, friendly, efficient staff. Disappointing- despite pleasant, efficient staff. Foyer not of great standard, room shabby though clean ( needs fresh coat of paint) , drapes & curtains tired, not fresh-looking. excellent customer service by attentive staff and great location. Hotel facilities were very good although parking was a little confusing to locate at first. 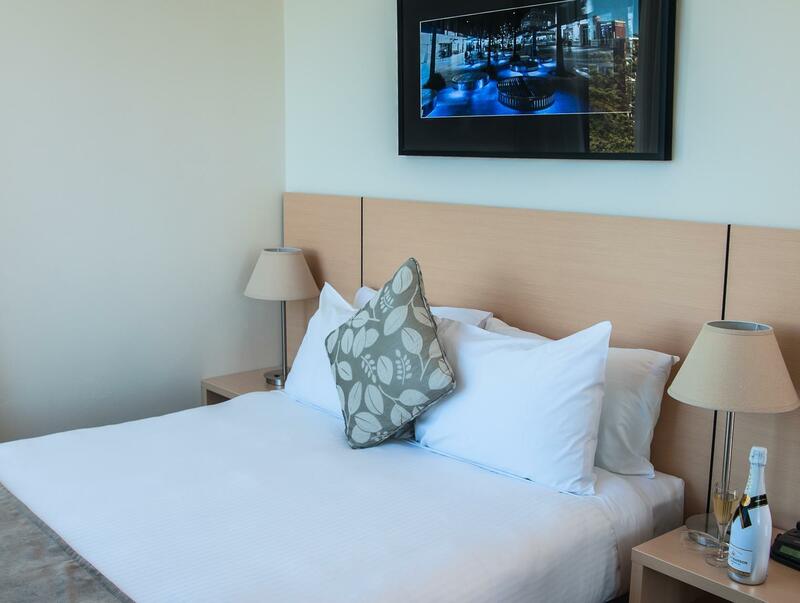 On the more pricey side for a one night stay if you pay full tariff, but worth $300 - $400 AUD if you can manage netting the hotel at deal rates. Wonderful relaxing stay. Staff appeared genuinely interested in making our stay as comfortable as possible.Just loved the family room suite. The only thing, not necessarily a negative, breakfast menu at Manly Wine did not cater for kids. The toasted sandwiches could not be altered and had grainy mustard, rocket,all items adult portions. Very clean room and friendly staff, wonderful location.